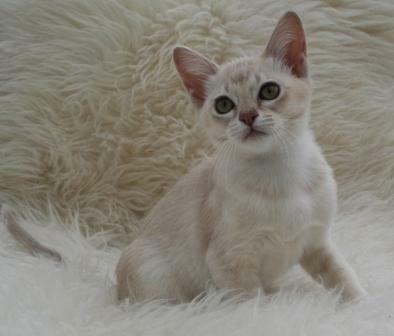 The Burmilla cat is a British creation. The cat was 'born' in the United Kingdom in 1981 and is considered a fairly new cat breed in the feline world. 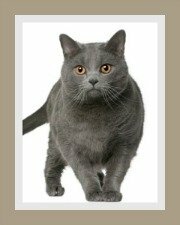 This breed was not planned, but rather the product of an accidental mating between a female lilac Burmese cat and male Chinchilla Persian. 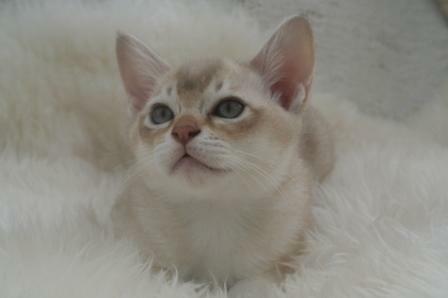 The name of the cat is derived from the two breeds Burm (Burmese) + milla (Chinchilla). The Burmilla was originally bred by the Baroness von Kirchberg. 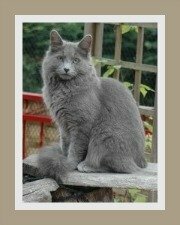 This rare cat breed is enjoyed by a blessed few. 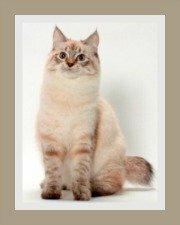 In some cat registries it is considered a separate breed, whilst in others it forms part of the UK Asian Shorthair cat breed group. The Burmilla is described as a medium-sized and compact cat with a rounded, broad chest. Whilst elegant, the Burmilla does have a solid bone structure and powerful muscles. Its legs are strong-boned and slender and the hind legs are longer than the forelegs. The tail is considered semi-long, quite thick at the base and then tapers to a rounded tip. 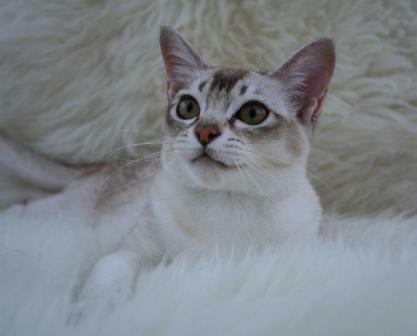 The Burmilla cat's head is medium-sized and slightly rounded. Its full rounded cheeks result in a broad face. Both the chin and broad, short muzzle are well developed. The ears are tilted forward, set wide apart, medium-sized and alert. Its eyes are large, wide-set, expressive and slightly slanted and the eyelids are rimmed in black which looks like eyeliner. Whilst amber-color eyes may be seen in the Cream and Red varieties, green, especially a luminous green, is the preferred or accepted eye color. The Burmilla's coat is fine but dense and silky-smooth and glossy. It has a medium undercoat that lifts the hair slightly away from the skin. longhair Burmilla which is known as the Tiffanie. The Burmilla has an agouti coat, which means that the tip of each hair is pigmented giving the coat a shimmer. 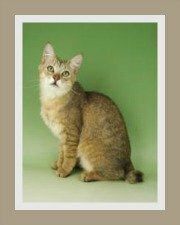 There are about 24 accepted coat colors and there are also Tortie varieties. The undercoat is a pale silvery-white whilst the ground color is either gold or silver. The tipping is either cream, blue, sable, lilac, red, black, chocolate or apricot. The tail, back and mask (face) is darker than the underside of the body. The tail is marked with incomplete rings and the paws have light barring. A distinguishing feature is the 'M' mark on the forehead. 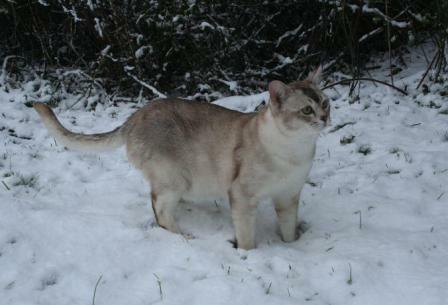 The Burmilla will adapt well to indoor living, but most cats love to explore the outdoors. It is very important to provide them with an enclosed garden that is 100 % escape-proof. They need space to satisfy their curious natures. Yes, the Burmilla is good with children. We suggest that younger children be taught how to carry and handle cats. Cats prefer gentle play and generally prefer to have all fours on the ground. Tail and ear pulling will result in a negative response from any cat! Is the Burmilla pet friendly? Yes, they adapt well to other pets - cats and dogs. The introduction of a new pet needs to be gradual and always respect the 'rights' of the resident pets. Burmilla cats have excellent, even temperaments. Some owners do describe them as boisterous and energetic. They appear to retain their kitten-like qualities into adulthood. 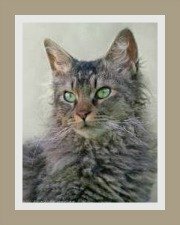 They are friendly, sociable, people-orientated cats who are very affectionate and gentle towards their owners, but tend to be wary of strangers. These cats are described as talkative and curious. The Burmilla is a low maintenance cat breed which means it only needs to be brushed once or twice a week. For guide to complete cat care visit our comprehensive pages for tips on grooming your cat. 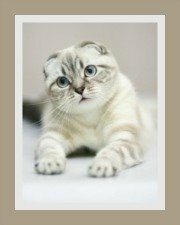 The Burmilla is a healthy cat breed, but they do have one or two health concerns. Pet owners are encouraged to consider cat health insurance. Your cat deserves the best cat food you can afford and today pet owners have a choice. Water is also an essential part of diet - ensure that your cat has clean, fresh drinking water every day. Males are generally larger than female cats. The average weight of the Burmilla cat is between 4 - 7 kg (8.8 - 15.4 lbs). If your cat receives its annual vaccinations, a well balanced diet, regular exercise and is not exposed to the elements, its average life expectancy is 15+ years.